With a stay at Gran Hotel Monterrey in Lloret de Mar (Lloret Town Centre), you'll be a 4-minute drive from Lloret de Mar Beach and 5 minutes from Water World. 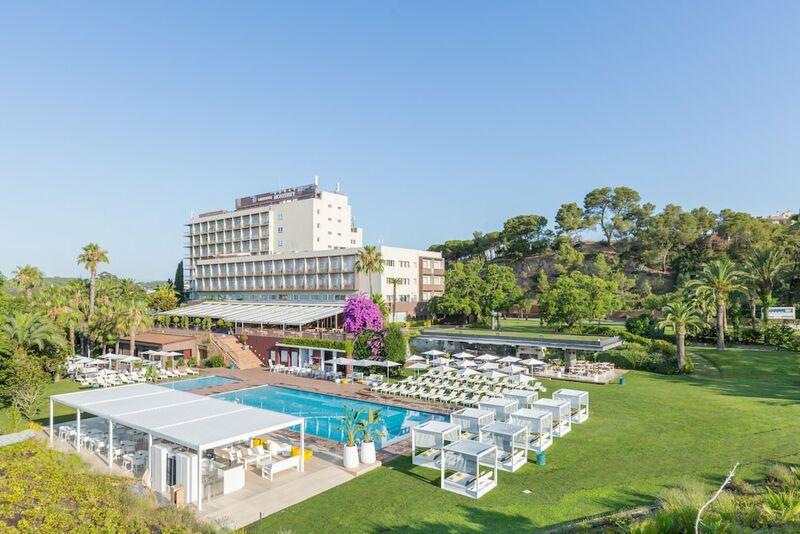 This 5-star hotel is 1.6 mi (2.6 km) from Fenals Beach and 7.3 mi (11.7 km) from Tossa de Mar Beach. Pamper yourself with a visit to the spa, which offers massages, body treatments, and facials. You're sure to appreciate the recreational amenities, which include 2 outdoor swimming pools and a fitness center. This hotel also features complimentary wireless Internet access, concierge services, and wedding services. Enjoy Mediterranean cuisine at Freu, one of the hotel's 2 restaurants, or stay in and take advantage of the 24-hour room service. Relax with your favorite drink at the bar/lounge or the poolside bar. Buffet breakfasts are available daily from 7:30 AM to 10:30 AM for a fee.